One of the challenges we face is bridging the macro and the micro of approaches to teaching and learning. On the one hand we have high level university-wide strategies and on the other the design of individual teaching sessions. The gulf between these two ‘levels’ is so wide that it can be difficult to understand how strategy might influence the immediacy of day-to-day teaching. Generally, course validation process, handbooks and the design of assessments should bridge this gap but it’s rare to meet anyone in a teaching role that sees the course validation process as a positive design opportunity – one which draws clear threads between teaching values or principles and the day-to-day of running a course. The CAF was designed by Careers and Employability at UAL and is a great example of how taking a ‘becoming’ rather than ‘skills’ approach to employability stops ‘getting a job’ being in opposition to ‘getting a degree’. Or perhaps it demonstrates that curriculum and employability can operate on similar principles if the focus is on personal development rather than on collecting-knowledge-and-skills. The CAF has been well received at UAL and because many aspects of digital teaching and learning are about ‘becoming’ it was an obvious next step to develop a digital lens for the CAF. Trying to define the D-CAF elements as a particular type in terms of skills, practices etc is not the aim. What is important is that they operate at a meso, in-between, level and that we agree that they are a valuable aspect of developing a particular creative attribute in the digital. The elements of the D-CAF are designed to be contextualised by disciplines and courses, each of which can describe their approach to facilitating a relevant collection of the D-CAF elements. Importantly, courses can also map their curricular to the D-CAF to highlight which elements their teaching supports in a language students can relate to. The current draft D-CAF has around 30 elements mapped to the nine CAF attributes. We are in the process of consulting with colleagues from around the university to ensure that these elements are in the best possible form before we publish/post a version 1.0. I have a basic rule that the D-CAF has to fit on one sheet of A4 paper, just to keep us disciplined… I’ll share version 1.0 here under a CC license. My hope is that others can build on the work and modify it to reflect the character/aspirations of their own institutions. Recently I was invited to speak at a hack event on Politics and Social Media for our Culture and Enterprise Programme at Central Saint Martins (the description of the event is below). The event was designed and facilitated by Richard Reynolds the course leader of the MA Applied Imagination in the Creative Industries (one of my favourite course titles of all time). Richard opened the day with a talk entitled “Politics, Social Media and the Practice of Ritual Magic” in which he made the distressingly convincing argument that Trump operates much like a magician or tribal mystic and his Tweets are in the form of ritual incantations. Not Trump – How Trump? 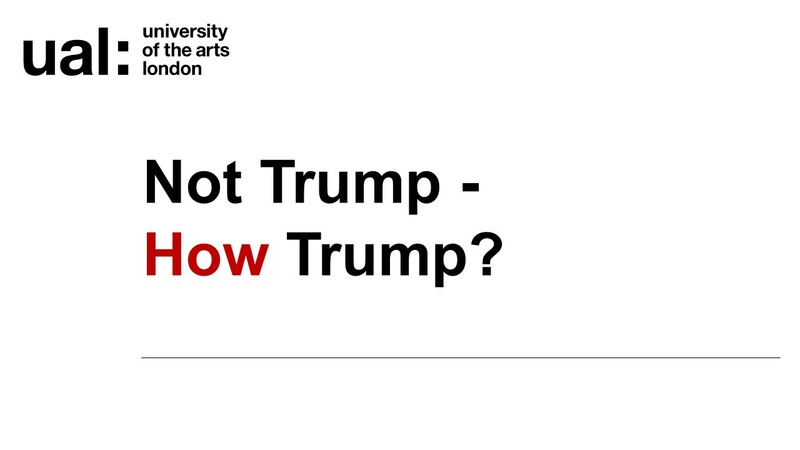 It’s easy to critique or satirise an individual but, following on from Richard’s talk, much more interesting to explore the factors that allowed Trump to gain and maintain power – especially as unless these conditions change we will see a succession of Trump-like leaders emerging in the West. 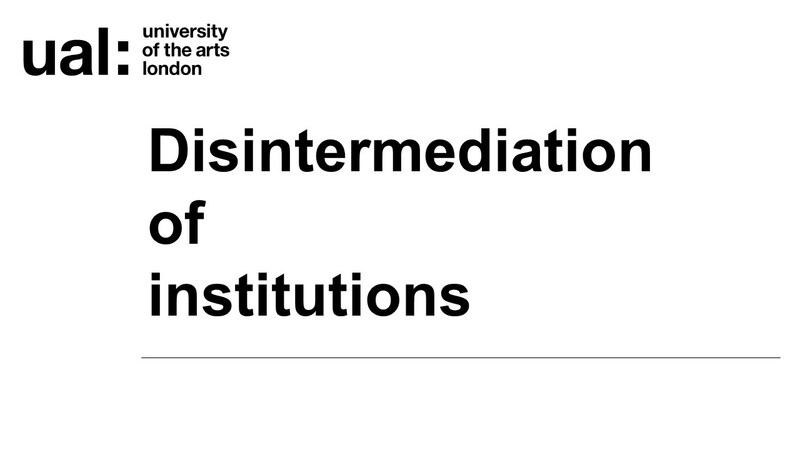 In terms of Trust I argued that the Digital has allowed us to Disintermediate institutions. 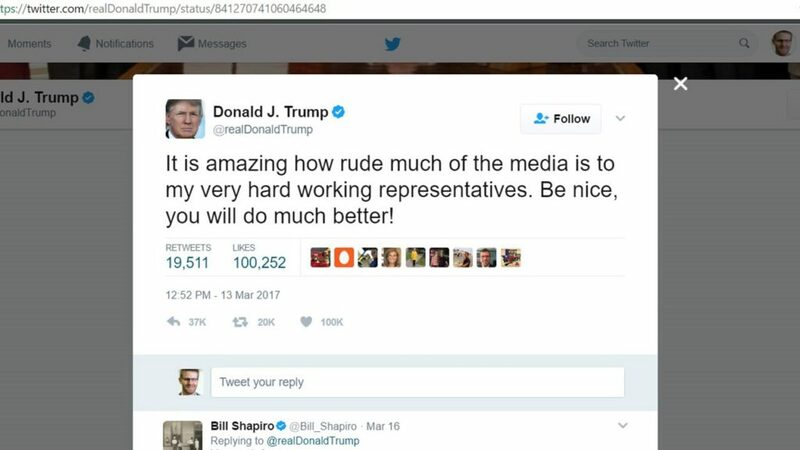 The Web allows Trump to pronounce directly to ‘the people’ via Twitter, circumventing the media, the government and his own party. The video of my talk starts from this point so I won’t essay it all out here. I see this fight taking place in education as much as in politics as we respond to the all pervasiveness of the Web. 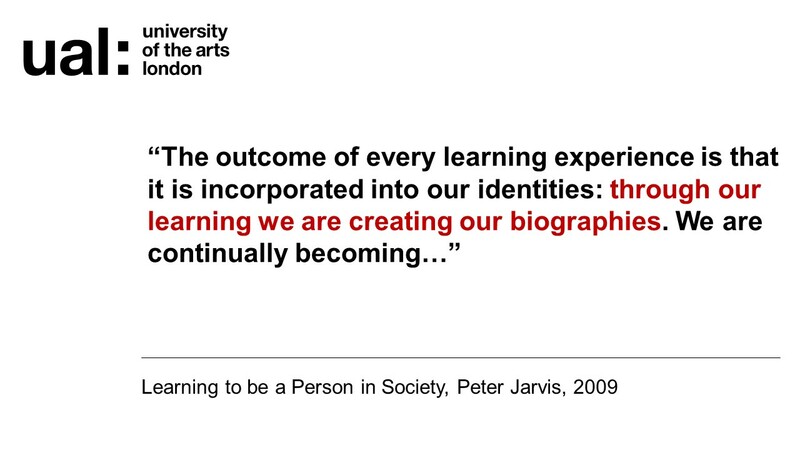 This was writ large for me as I prepared a session on Networked Learning for our Postgraduate Certificate Academic Practice in Art, Design and Communication. 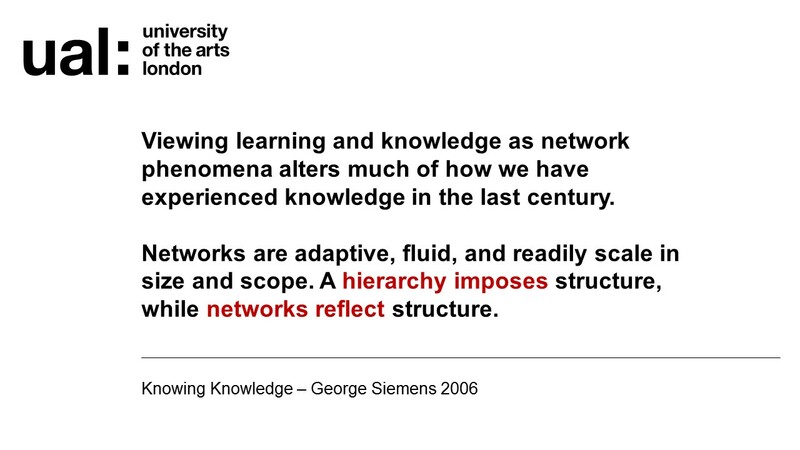 In a description of Connectivism George Siemens’ highlights the same tension between networks and hierarchies. Hierarchy imposed structure, while networks reflect structure. The challenge for us is in negotiating the relationship between network and hierarchy. Institutions embed and petrify power in structures which privilege particular groups. Networks tend to generate ‘mystics’ and ‘high priests’ who could, if they wished, operate without the balance hierarchical democracy can, but often doesn’t, bring. (A phenomenon I’ve seen occur within Connectivist courses). It’s complex, fascinating, and requires our immediate attention. Many of us are living in a post-truth world, a world defined by ‘alternative facts’. The Brexit referendum and its aftermath have been shaped by irrational trolling and online ranting. President Trump tweets his policy decisions. Terrorists and other outlawed groups use – or attempt to use – the same online platforms as government agencies. States wage hybrid warfare, and use online disinformation as a tool in their blended online/offline military strategies. Access to news is shaped and distorted by each individual’s known tastes and preferences. Citizens have uploaded their political life and identity, and sometimes struggle to make any connection back to the politics of the offline world. It’s scarcely necessary to describe the impact that social media is having on politics. We only have to look at the outcomes of elections, referendums and other political conflicts around the world. More than simply a tool, Social Media has changed the way that politicians structure their careers, and the ways in which voters (and non-voters) engage with politics and respond to political debates. Social Media has become central to the ways in which governments articulate and impose the power of the state over its citizens. 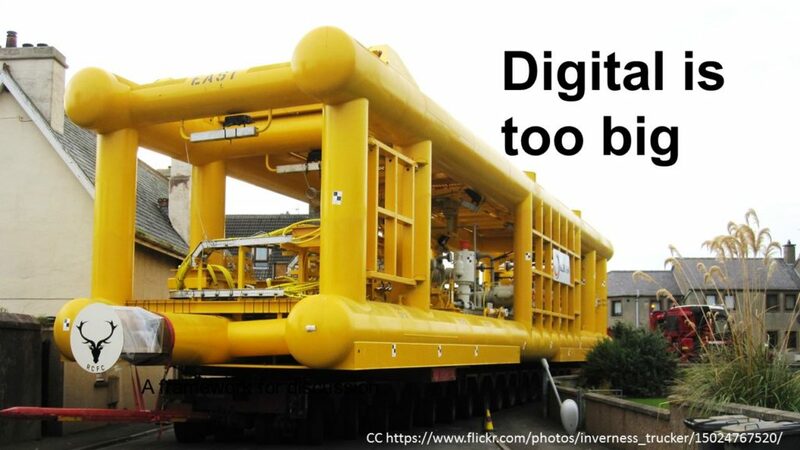 Last year I wrote a quick post proposing a simple way to manage high level discussions about digital. 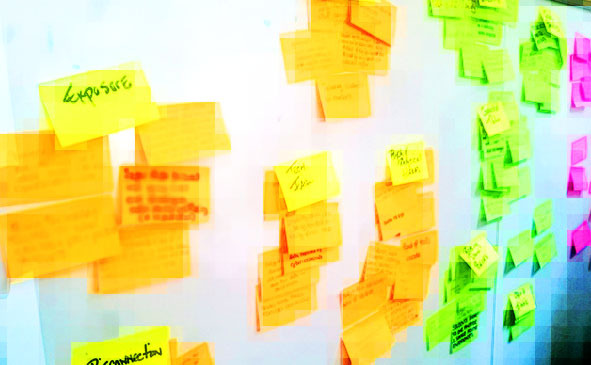 This came from my involvement in digital strategy discussions which often slid across thematic and organisational areas, ending up with a scattering of actions which looked like a troubleshooting list and a desire to ‘get involved’ with new technology. 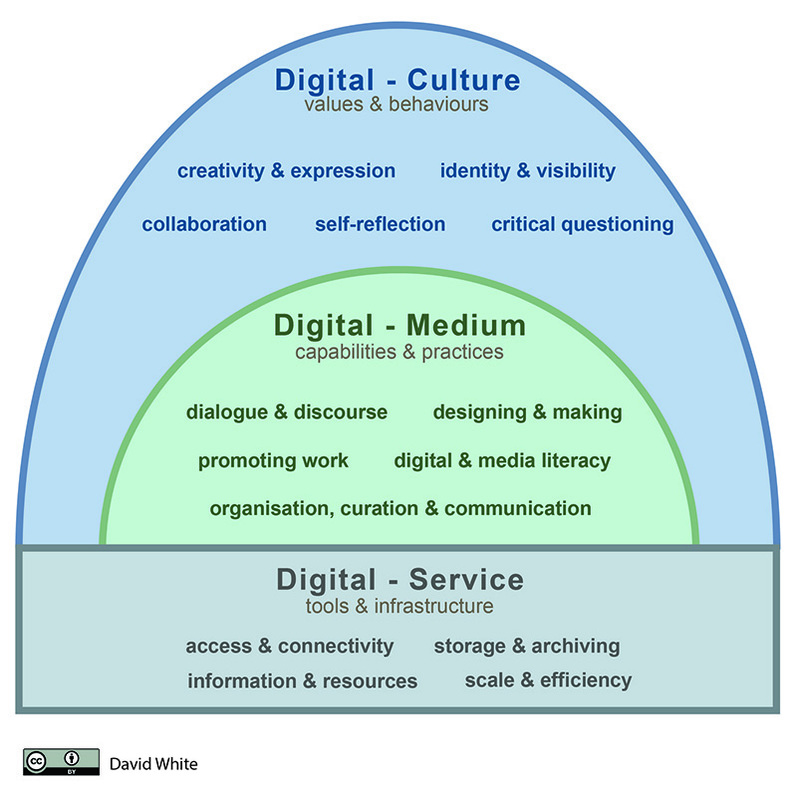 The framework I jotted down simply proposed that discussions should understand their location within three areas: Digital Culture, Digital Medium, Digital Service. 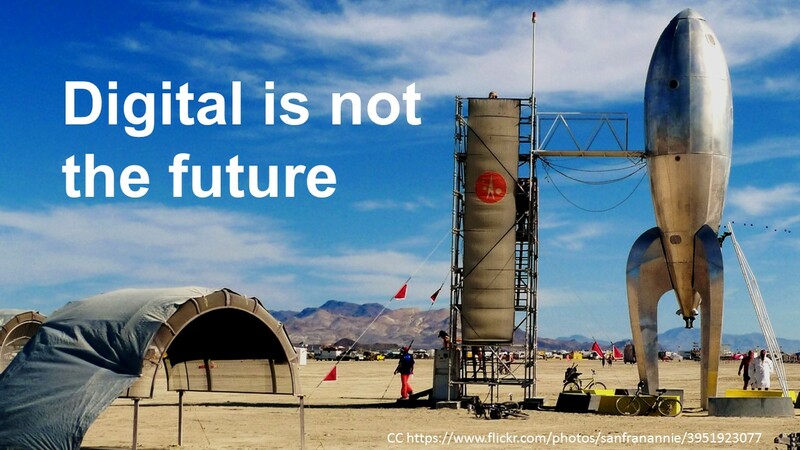 To harness the digital at an institutional level we have to focus on the present and not place digital in that the-next-big-thing-will-save-us category. Clearly we need to keep an eye on the horizon but I know our students would thank us if we prepared them for the digital ‘now’ not an unknown and variously utopian/dystopian imagined future. I’ve written about this before but in summary – we need to respond to the digital as one part of the ‘real’ world not as a separate entity. Digital and non-digital activities flow in and out of each other. It’s an element of almost everything we do and not a viable starting place for a discussion, hence the framework. In a digital context this could simply be IT. 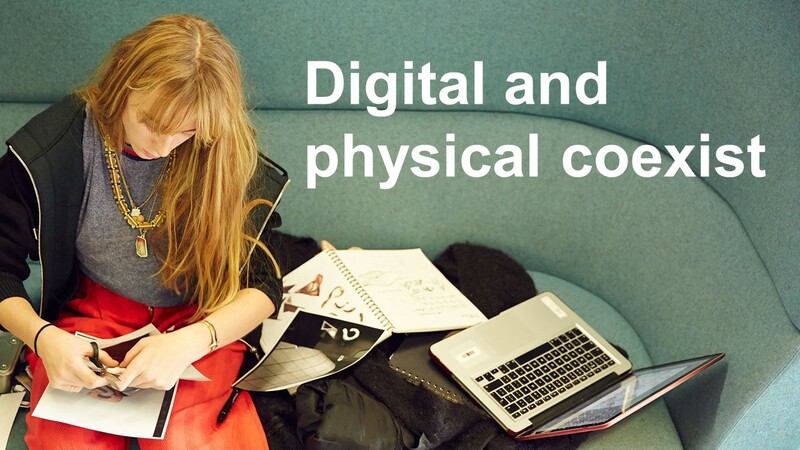 It’s the layer students are most likely to comment on if asked about ‘digital’ because when most people think of digital they think the technology itself rather than their practices within digital contexts. If this layer isn’t working then the other two don’t stand a chance. There’s not much point in trying to develop a digital identity if the Wifi is down. This is where most of our day-to-day activities take place. It’s where the digital has become the location for our work and the place where we connect with each other. This is where the real work of the institution is done, for example, teaching and learning. It’s also the layer which is often least discussed strategically as discussions swing from the need to buy more 3D printers to the risks of Social Media use and not much in between. These are the high level principles which inform the character and direction of the institution. As is always the case with culture these are often implicit or assumed to be shared values. So, for example, in my institution we have a culture of creativity and the desire to help students develop their own creative practices. How this is expressed in the digital should be an ongoing negotiation. It’s also of note that emerging practices in the digital and new forms of access/connectedness shift culture or call aspects of it into question. You could take the framework and use it with a second axis such as scale. So we could take teaching as a subject and consider what is needed in Culture, Medium and Service terms, mapped against Individual, Course and Institution. Or to be more specific we might take a particular question from the National Student Survey in the UK such as “My course is intellectually stimulating” and consider what is required to ensure this within that grid. Or we could map against the student journey of Pre-arrival, Induction, First year, Second Year, Third year etc. These are the kind of discussions I’d like to frame at my own institution to develop a better shared understanding of the digital which cuts across traditional structural areas such as IT, Teaching and Learning and Senior Management. The framework was well received at the Leadership Foundation event I presented at. I hope it proves to be useful. Thanks to the many colleagues who listened to me as I was formulating the framework and offered useful feedback and advice. 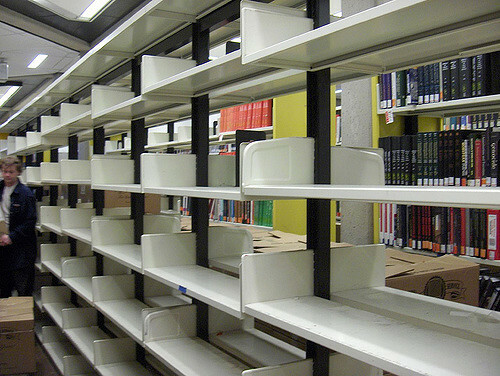 What is the value of a library with no content? This piece was written as an editorial for UKSG, an organisation “connecting the knowledge community and encouraging the exchange of ideas on scholarly communication”. I don’t work in libraries but I often get invited to speak to groups of library staff about my views on the influence of ‘the digital’ in higher education. My role is teaching and learning focused and I argue that in the digital era academic libraries need to become a home for learning rather than content. Don’t panic, learning necessarily involves content.This is about emphasis, not a dualist polemic on throwing books away and making libraries into wifi flooded barns (those are known as coffee shops). Many incoming students are caught in a trap. On the one hand they have been led to believe, sometimes explicitly, that knowledge captured in a physical form such as a book is good quality, or the home of ‘truth’. On the other hand they find much of the information they need for their studies out on the web in a number of different guises. The information they find rarely lets them down but they fear that much of it isn’t academically viable. Often they are right but this commonly has more to do with the strictures of academia than the nature of ‘non-library’ sources. The trouble stems from our cultural love of certain forms of publishing and expertise over and above the substance of information we discover in any of the many forms it might take. For example, I remember a conversation with a publisher a few years ago in which he got excited about a near future when e-books could include videos, quizzes and be connected to the internet. I didn’t have the heart to point out that what he described was a website because I was pretty sure he wanted to sell ‘books’. . . The other trap we fall into is confusing academia for learning. For the researcher or the postgrad these territories might naturally flow into one another but for an early-stage undergraduate the mechanisms, rules and culture of academia can often seem strangely abstract and obscure. An early-stage student I interviewed for a research project was struggling with just this when she commented that she had been told not to use Wikipedia because it ‘wasn’t reliable’ even though she had never found that to be the case. Her conclusion was that her institution wanted learning to be ‘difficult’ (but not in a good way). Access to content ‘beyond’ the library is what’s new here and it’s at the root of these tensions. Unfortunately instead of responding to this new abundance of information by evolving and extending what it means to be a library some prefer to put effort into defending the purity of library content and historic, academic, ways of working as distinct from the web. This isn’t an approach that incoming students readily understand. Many of our new students have a queasy sense that what Google points them to might not be the ‘best’ sources (without even knowing what ‘best’ means) but don’t yet have the academic tools-of-the-trade to discern or to harness the value of library-based content. Perhaps instead of showing incoming students how to use the library we should first be discussing why they should use the library or any source of information whether we ‘own’ it or not. So this brings me to the title of this editorial because rather than getting caught up in a discussion about the relative merits of digital and physical sources I prefer to ask, “What is the value of a library with no content?”. The simple answer is “expertise”. In this era of information abundance what students desperately need is guidance not more content. A librarian should be an expert at navigating content, not owning it, and by extension they should be adept at helping students to navigate. This process is fundamentally a form of teaching which positions the library as directly responsible for learning rather than a ‘service’ one step removed from the pedagogical activities of the curriculum. 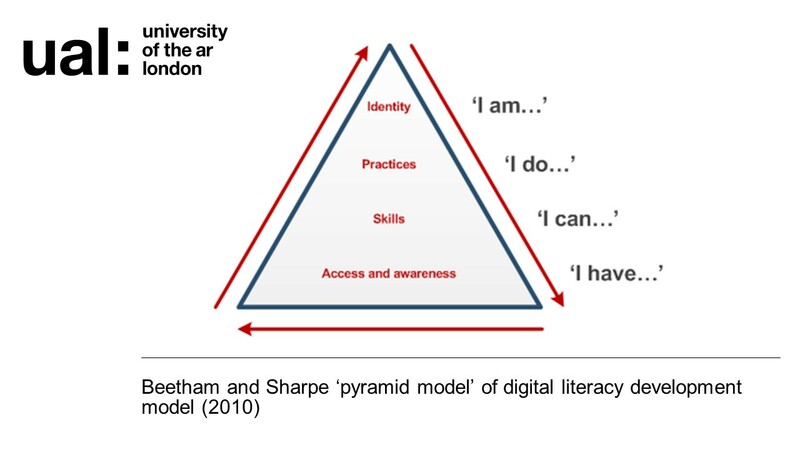 In addition to supporting what it takes to gain a qualification, a focus on learning, rather than content, is also required to foster digital capabilities which support what Leo Appleton described in an earlier editorial as ‘digital citizenship’. Here there is a clear opportunity to enrich students’ sense of self and empower them to influence the environments they find themselves in rather than simply working at becoming as employable as possible. Forgive me, this is my view from ‘outside’ the library and is somewhat reductionist but possibly not unrecognisable? On the positive side I see academic libraries as having the flexibility to continue to adapt within an expansionist higher education sector. Some of the most vibrant thinking around ‘what it means to learn and to produce knowledge’ in the digital era has been nurtured by libraries. There is pressure on curriculum to respond to a growing set of policies and external measures which risks dehumanising the core of what students experience. Given this it’s crucial that libraries present opportunities to engage with expertise in a friendly and person-centric manner. In a time where students can Google their way to almost any ‘answer’, access to content has become less important than access to people who understand what that content means and where to head next. Myself, Donna Lanclos and Lawrie Phipps are delighted to release a facilitators guide and slides for running the Visitors and Residents mapping activities (a workshop format for reflecting on, and responding to, various forms of digital engagement). These resources were developed for the Jisc Digital Leaders Programme but can be edited and adapted for different audiences. For example, a version of the individual mapping activity could be run with Students and/or teaching staff while the group mapping activity could be adapted for course teams. This post from James Clay is a good example of how the mapping can be adapted. ‘Vanilla’ version of the slides with detailed notes – designed to be edited and adapted. The thinking captured in these resources has been developed over a few years and refined each time we have running the mapping activity. If you have experience of running workshops then the resources should give you what you need to facilitate a mapping session. I was once told that you had to be “Dave White” to run the discussion parts of the workshop so there is a large section in the guide which highlights themes arising from individuals maps that have been recurrent across workshops and how they can be constructively discussed. If I’m honest then the only mapping sessions that have proved challenging to run have been those with educationalists (if that’s the right term). They tend to enjoy deconstructing the principle of Visitors and Residents and the nature of the mapping rather than doing the mapping itself. I enjoy those discussions and have found them helpful in developing the work but time is limited in any workshop and sometimes you have to encourage people to get started on an activity and then discuss it’s pros and cons. This did vex someone who asked me “what do people learn in the workshop?”, to which I replied “It depends on who they are and what direction they want to take things”. In this sense the workshop format is completely in keeping with the designers pedagogical philosophy of providing the conditions for reflection and strategic thinking without being perspective about the ‘right’ way to do things. If you do run a Visitors and Residents mapping workshop then (if you feel moved) please let us know by using the #VandR tag in Twitter. In the last few talks I’ve given to teaching & learning and library folk I’ve spoken about my views on what I believe education should be at the start. Rather than gently constructing an argument for my ideology and meandering towards a slow reveal (assuming anyone would notice) I’ve opened with a few simple statements to provide a frame for the rest of the talk. This appears to work well as there is an honesty to it that I suspect people appreciate. My starting point is not new, it does not advocate smashing the system and it’s not a performance of liberal hand-wringing. 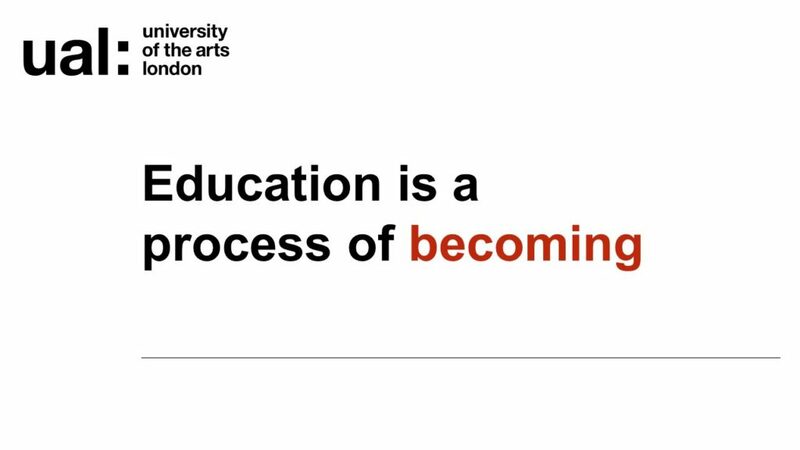 I simply believe that education is a process of becoming. This is a principle which then informs everything from curriculum design to the planning of physical spaces and the use of Social Media etc. Our undergrad students want to become one of those people that is hidden in the title of their course. And this is a good thing. Students come out of school looking for simple identity hooks which is why the disciplines are such a powerful way of dividing up the world. However, once we have nurtured their disciplinary sense of self and taught some key intellectual tools we should encourage the questioning of overly neat identity associations. For me this is the bridge between undergraduate and post-graduate approaches. By the time students leave their undergraduate programmes they should be weaning themselves off simplistic, generic forms of identification and using what they have learned to develop their own, more complex, sense of self. Clearly the Resident Web is an excellent location for this process of becoming and revealing. More than that, the networked, anyone-can-publish, identity-rich side of the Web is in-of-itself amplifying the potential to ‘become’ in ways which are less aligned with specific institutions and disciplines. This is what we need to consider when designing curriculum and pedagogy underpinned by the notion of becoming in a post-digital environment. We need to ensure that the trajectory of undergraduate programmes is towards the top of the triangle, not just because of the presence of the digital but because it is the direction needed to foster becoming.